"Rudolf Steiner was ahead of his time during his time. And he ist actually ahead of his time, even in this time." Für diejenigen, die das Glück hatten, ihnen zu begegnen, stellen Rudolf Steiners einzigartige Einblicke und Forschungsergebnisse seit langem eine Quelle der Wertschätzung und Inspiration dar. Seit seinem Tod im Jahre 1925 hat Steiners geistiges Erbe sowohl an Relevanz als auch an Dringlichkeit gewonnen. Gedreht im Jahr 2011  dem 150-jährigen Jubiläum von Rudolf Steiners Geburt  erzählt die zweiteilige Dokumentation des renommierten britischen Filmemachers und ehemaligen BBC-Produzenten Jonathan Stedall die bemerkenswerte Lebensgeschichte Rudolf Steiners (1861-1925) und erkundet den Einfluss seiner Ideen und Impulse auf eine Vielzahl zeitgenössischer Aktivitäten in Bereichen der Bildung, der Landwirtschaft, der Medizin und der Künste sowie sozialer und finanzieller Betätigungsfelder auf allen Kontinenten. Teil 1 des umfassenden Dokumentarfilms beschäftigt sich in 90 Minuten mit Steiners Biographie sowie Beispielen seines Vermächtnisses u.a. in Großbritannien, Indien und den USA, darunter etwa der Waldorfpädagogik, der biologisch-dynamischen Landwirtschaft, der Camphill-Bewegung für Menschen mit besonderen Bedürfnissen, der Eurythmie sowie der anthroposophischen Sozialtherapie und Kunst. Teil 2 (105 min.) geht auf das Thema Reinkarnation und Karma ein (gefilmt wurde u.a. in einem Gefängnis in South Wales, in einem College für benachteiligte Jugendliche bei Ruskin Mill in Gloucestershire sowie einem Kurs für Biographie-Berater am Emerson College in Sussex) und berichtet über die US-Waldorfschulen in Hawthorn Valley und Washington DC, ein bio-dynamisches Weingut in Kalifornien und die Copake Camphill-Gemeinschaft. Der Film schließt mit Beispielen von Steiners Einfluss auf die Medizin in der Schweiz und England und gipfelt in einer Sequenz einer internationalen medizinischen Konferenz am Goetheanum in der Schweiz. Jonathan Stedall war über 27 Jahre lang als Produzent bei der BBC tätig und drehte in den letzten 50 Jahren 150 Dokumentarfilme. Für seinen Film In Need of Special Care" über eine Camphill-Schule in Schottland erhielt er einen British Film Academy Award. Zu seinen weiteren vielbeachteten Filmproduktionen gehören Biografien über Tolstoi, Gandhi und C.G. Jung sowie drei Filme für die BBC-Serie The Long Search". Sein Buch Where on Earth is Heaven?" wurde 2009 bei Hawthorn Press veröffentlicht. 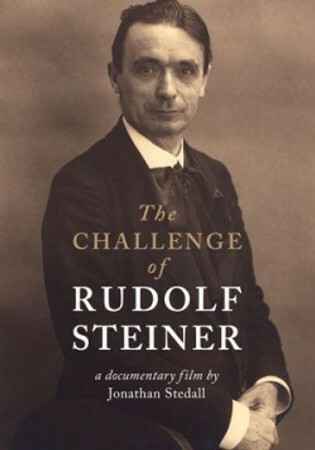 For those fortunate enough to encounter them, the unique insights and research of Rudolf Steiner into subjects such as education, medicine and agriculture have long been a source of wonder and inspiration. Since his death in 1925, Steiners vision has grown in both relevance and urgency, yet there are many people still unaware of his life and work. The Challenge of Rudolf Steiner, from the British film-maker Jonathan Stedall, aims to take the story to a wider audience. Filmed during 2011  the 150th anniversary year of Rudolf Steiners birth  this two-part documentary by veteran film-maker Jonathan Stedall tells the story of Steiners remarkable life (1861-1925), as well as exploring the influence of his ideas and insights on a whole range of contemporary activities  education, agriculture, medicine, social and financial issues, and the arts. PART ONE (1 hour 30 minutes) describes Steiners childhood as the son of a humble railway official, growing up in the Austrian countryside, and his student years in Vienna towards the end of the 19th century. Hugely influenced by Goethes scientific writings, he was gradually able to reconcile the powerful spiritual experiences he had had since childhood with his interest in science and philosophy. Nevertheless it was not until he was nearly forty that he found an audience interested and open to what he came to call his spiritual science. During the last twenty-five years of his life he lectured extensively all over Europe to educators, farmers, doctors, artists  and above all to people searching for a way that no longer separated science from religion, faith from reason, spirit from matter. The film looks at examples of his legacy in the UK, India and the USA  Waldorf education, Biodynamic agriculture, Camphills work for those with special needs, and at Eurythmy, both as a therapy and as an art. PART TWO (1 hour 45 minutes) looks initially at the subject of reincarnation and karma, with film at a prison in South Wales, at Ruskin Mill in Gloucestershire  a college for disadvantaged youngsters  and at a course for Biographical Counsellors at Emerson College in Sussex. The film concludes with examples of Steiners influence on medicine  in Switzerland at the Hiscia Institute, and in England at Weleda in Derbyshire and at the Blackthorn Medical Centre in Kent  and culminates with a sequence at an international medical conference at the Goethenum in Dornach. The year 2011 was Jonathan Stedalls fiftieth year as a documentary film-maker. He began his career as an ASM and then Stage Manager in Repertory Theatre, and then worked in the cutting-rooms at Pinewood as an assistant film editor. For two years he was a Floor Manager in ITV before becoming a studio and film director at TWW in Cardiff and Bristol in 1961. There he made his first films with the poet John Betjeman, and in 1963 joined the BBC as a producer at the advent of BBC2. Jonathan worked on the staff of the BBC for twenty seven years and has made over 150 documentaries, working with many thoughtful and creative people including Laurens van der Post, Alan Bennett, Mark Tully, Malcolm Muggeridge, Fritz Schumacher, Cecil Collins, Bernard Lovell, Ben Okri and Theodore Roszak. In 1969 he won a British Film Academy Award for his film In Need of Special Care about a Camphill School in Scotland, and since then has made further films about Camphills work for children and adults with special needs. Other notable productions include biographies of Tolstoy, Gandhi and Jung, and three films for the 1976 BBC series The Long Search  in Romania, Taiwan and California.